I have a problem... and it's called anxiety. Anxiety is one of those sins that is justified by the world. It is okay, normal, and even expected to be anxious, worried, and stressed. I even justify it... I have been known to say, "I know I am stressed... that is just how I am." Well, I guess in part that is true, apart from Christ. 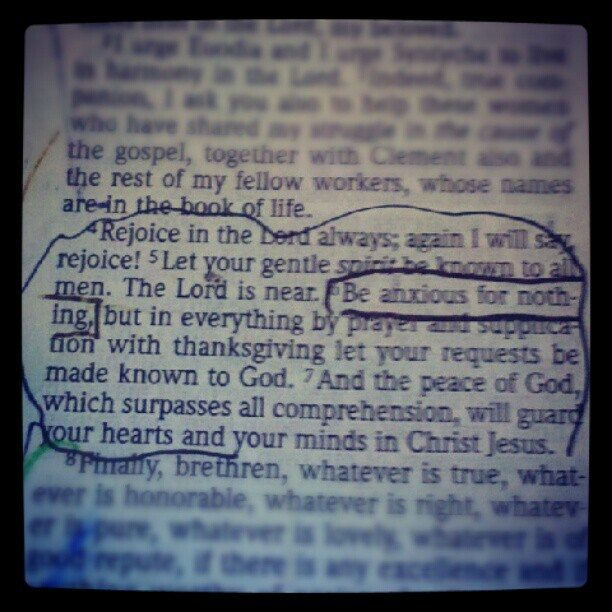 But if I have full faith and confidence in God, His plan, and His sovereignty, then there is no place for worry. What if I don't get my work done in time? What if I don't do a good enough job? What if things don't go as I MY planned? I spend a lot of time thinking about what I think the future should look like, instead of having Joy in where God has me now. The part that is most encouraging to me in this verse is the promise. Everything by prayer and supplication with thanksgiving... and we have the peace of God, which surpasses all comprehension. If I say, "I don't know how I will get through xyz," I can receive peace from God that is beyond all understanding... no matter what! So today... 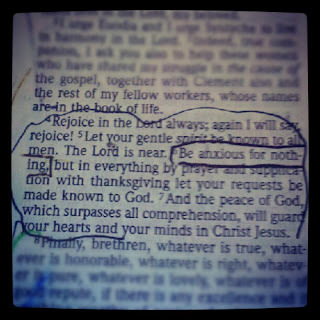 I will rejoice, I will have a gentle spirit, I will not be anxious... all through Christ. And then I will cling to peace from God, a peace that is so powerful it is confusing to the world. So good. Really. I think we all struggle with this to an extend and it's a daily exercise of our faith to battle it and counteract the anxiety with trust and confidence in Him! I needed to read this today. 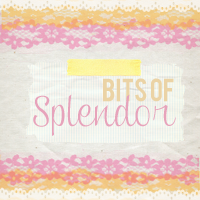 I know you posted it a long time ago but I've recently discovered your blog.